Eager game warden candidates in Iowa compete for the few job openings that become available each year. In order to ensure that they are the best match for the role, applicants should be passionate about fishing and wildlife advocacy as well as possess the ability educate the public, hunters, and fishermen on ways to help preserve our natural resources. A warden's responsibilities might include issuing fishing and hunting licenses, making arrests for infractions, and data collection related to specie populations. The jurisdiction of each game warden can vary, but often includes monitoring the natural resources of large protected wildlife regions within the state. Competition for these jobs is fierce, with some applicants waiting for months in a pool of potential candidates before receiving an offer. This makes it critical to understand what qualifications the hiring agencies are looking for. With both Iowa’s eastern and western borders formed entirely by rivers, the state is central to the American Heartland. As such, those individuals that enjoy working outdoors and who also have an interest in law enforcement would be ideal candidates for conservation officer jobs in the state. Sometimes called game wardens, Iowa’s conservation officers are fully certified peace officers responsible for environmental protection of fisheries, wildlife, parks and forested lands. As peace officers, conservation officers have the authority to enforce any Iowa law at any time. Deputized by the U.S. Fish and Wildlife Service, Iowa’s conservation officers can cross state lines in pursuit of federal violators. For those who are motivated by justice, this career path has exciting opportunities for growth and advancement. 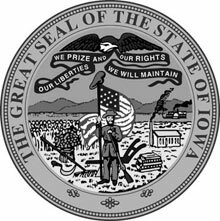 License: A valid Iowa-issued driver’s license is required. Polygraph Test: A series of questions detailing past experience with substance abuse and criminal activity. Vision: The applicant must have better than 20/100 uncorrected vision with both eyes, corrected to 20/20, and have color vision consistent with the demands of the job. Demonstrated bilingualism is an asset. Iowa Workforce Development reported that the median salary among conservation officers was $62,303 as of 2016. This salary exceeds the national average for game wardens by more than 20%. Entry-level game wardens earned $48,975 on average, while those in the top 10% averaged $71,193.